Milan in August for the most locals is the worst and the most boring month of the year. Milan, usually described as Dante’s inferno with suffocating humidity, may seem the last city in the world to be there. For a Milanese, August means a month of holidays, if possible at the seaside. City becomes almost empty, most of the shops and restaurants are closed, even city transportation seems to function on slow down rhythm and the whole city seems to enter into a dormant state. Despite of these negative aspects of Milan city during this summer month, I still consider August the best month to visit Milan. Particularly if you come as a tourist. I know, Milan isn’t one of Italy’s most-visited travel destinations but no trip to this country is complete without it. And be there just in august! What’s the weather like in Augustin Milan? Visiting Milan in this month you can expect average daily temperature of around 25°C with peaks reaching over 35°C as a result of Milan’s unpleasant high dampness. On contrary low temperatures rarely go below an average minimum temperature of 19°C even at night. In this month you should wear light, non synthetic clothing and occasionally having an umbrella can be useful as August usually shows up with sudden and heavy rain, fortunately with short duration. Unfortunately ,it occurs that the rain instead of bringing some refreshment, only increases already high humidity. Many locals, particularly those who cannot wait to get away from Milan in August, say that August in Milan is the most boring month of the year. If only partly truth considering that there’s always a way to defeat the boredom and enjoy these hot August evenings in the city. Every year in this month those few left in the city must accept the fact that more than a third of the shops, bars, restaurants, patisseries and ice cream parlors will be closed traditionally between 5th to 24th of August. If you happen to be in Milan in a week of Ferragosto (Feast of the assumption) or on 15th of August, you’ll hardly find anything open. Fortunately, internet is sometimes a great place to find useful information and many fellow local partners that provide particular tips about Milan facilities that even during August remain open to help tourist find the way to survive and to make their stay in Milan more interesting and fun. Flawlees Milano is on of these precious resources, recently appeared on the net. One of them Andrea Andolfato, the members of editorial staff with his useful article ‘How to survive in Milan in August‘ indicates a list of places open throughout the month. On the list he itemized an interesting places where you can go for breakfast or lunch, where to take an aperitif with dinner, list of pizzerias. coffee bars, even around Milan spots for a short city breaks. It is clear that many of these structures will be closed in August (only a week or two) but many will remain open throughout the month. 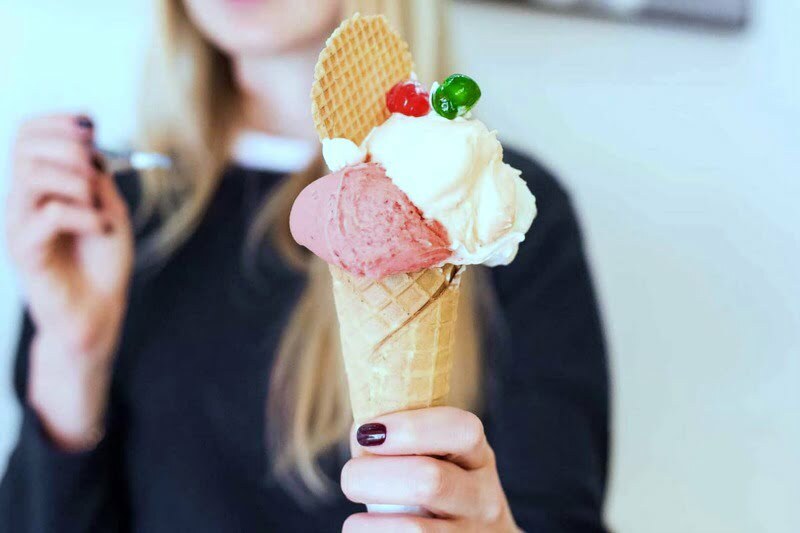 For ice-cream lovers Polina Rodygina brings them comfort that many Milan’s ice-cream parlors are not all closed in August and indicates where to find some the most exquisite shops for this, after pizzas, Italian’s masterpiece. Milan in August is a time to show off all of your fabulous accessories. Some small details like a cross body bags, cat-eye sunglasses, summer T-Shirt tops with sweatpants, and a fancy watch will help you measure your time when hopping from one to another site seeing. If you happen to visit Milan in this month, from my personal experience, there are more foreign tourists than the locals around the city center. It’s not strange to see more foreigners from different countries like Japanese or Americans wandering around the top city sights. Most guidebooks say that one full day is enough for Milan. Many advise not to go in August. 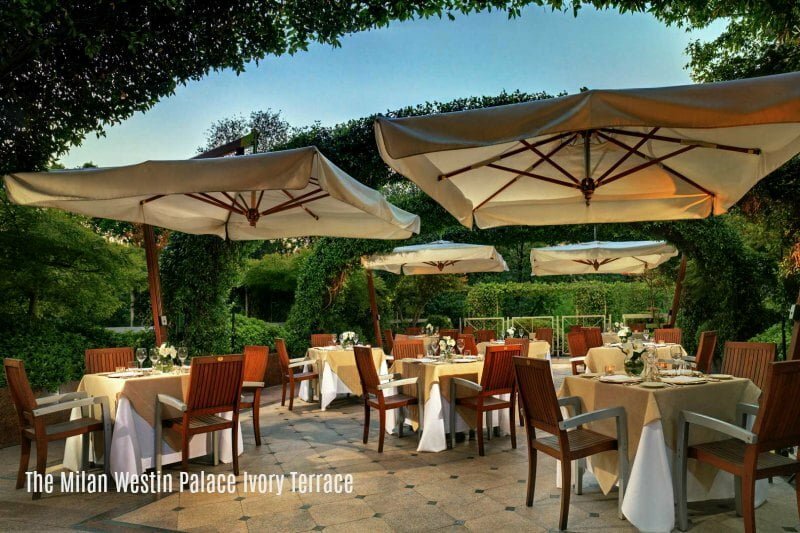 If you really want to know Milan, spending at least two or tree days in Milan not only seeing the sights but it will help you imagine what it’s like to live there. Be a tourist not a traveler. Ask yourself if you could live here? What makes August the best month to be in Milan? One of advantages is the possibility to enjoy the urban spaces without haste you cannot do during the other months, without parking problems, queues and what’s more important without the chaotic traffic that often limits your movements. Here are several ideas for an August full of fun, culture, some recommended day trips in vicinity of Milan, how to move around the city safely and soundly. Of course I’ll keep an eye on your money expenses. I don’t want make you regret for having stopped in Milan. In August this symbolic church of Milan’s city is the must visit, without stumbling upon the long queues of tourists. 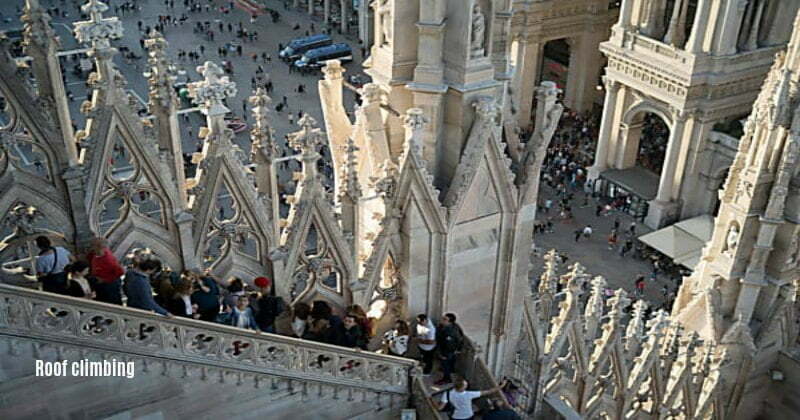 Enjoy a breathtaking view from the marvelous Duomo terraces with its 135 marble spires and take some memorable photos of the city. 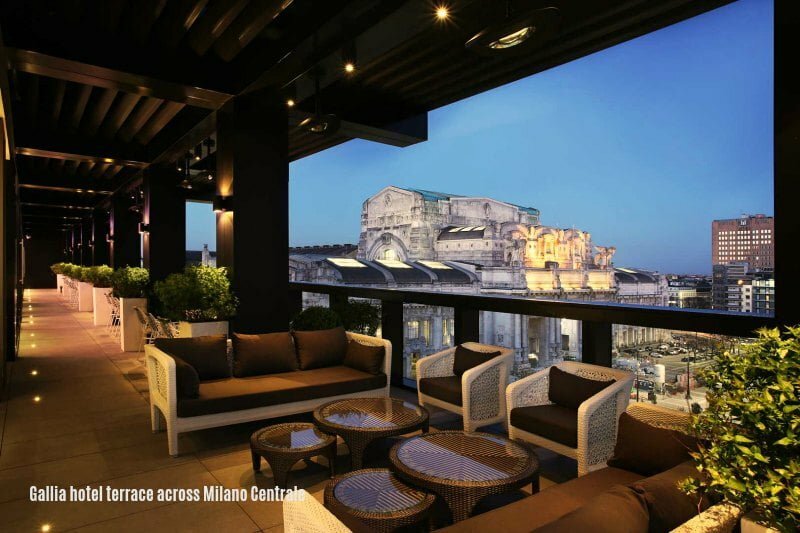 Check the big summer saver for Duomo terrace climbing! 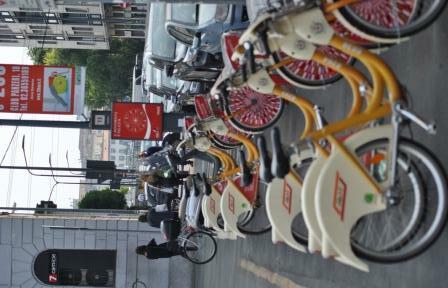 Milan in August frees itself from heavy traffic and becomes easily viable, whether on foot or by bike. For bike lovers August is only period for an ecological and practical way to travel around the city. With around 144 km of lines and bicycle routes the BikeMi bike sharing service facilitates you to rent bikes on a daily, weekly or yearly base available at all Atm (Milanese transport company) points. You’ll find them on strategic city points starting from Duomo, Cadorna, Loreto, Milano Centrale , Garibaldi and Romolo. 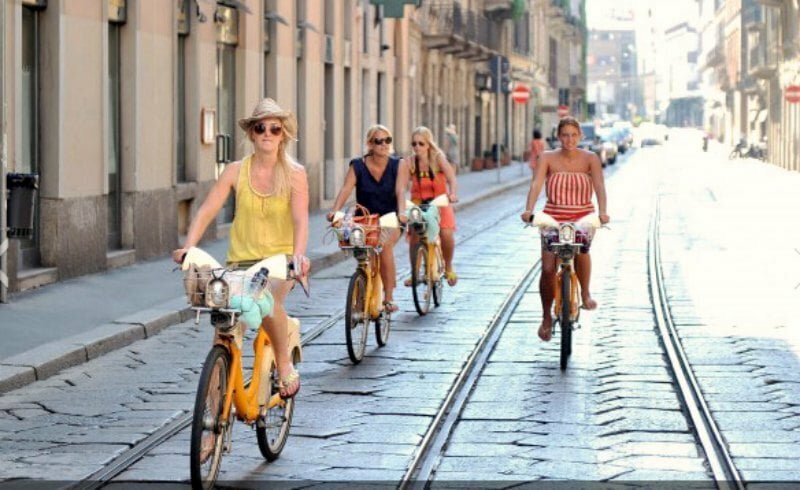 If you don’t feel at ease to ride on your own across the city, you can take part of some Milan biking tours, like 3 hours morning, afternoon or evening bike tour, visiting iconic Milan monuments such as Milan Duomo, Teatro La Scala, Castello Sforzesco (Sforza Castle) and more! If you have already been in Milan before, take a bike tour to explore some hidden treasures in the Milan’s areas you may have missed. The biking is very safe and your tour guide will take care that you’re always safe avoiding busy intersections and roads. Milan in August offers some unique walking tours on your own, like Brera, Milan’s Montmartre district. For foodie lovers, a guided tour through Brera, beside of Milan’s premiere art gallery, Pinacoteca di Brera, you’ll enjoy awesome food. On the tour you’ll get some useful indication where to go and what to eat saving a newcomer to the city the dilemma of finding suitable authentic eateries at reasonable prices. Do you know that you don’t need to go to Venice for a gondola tour? 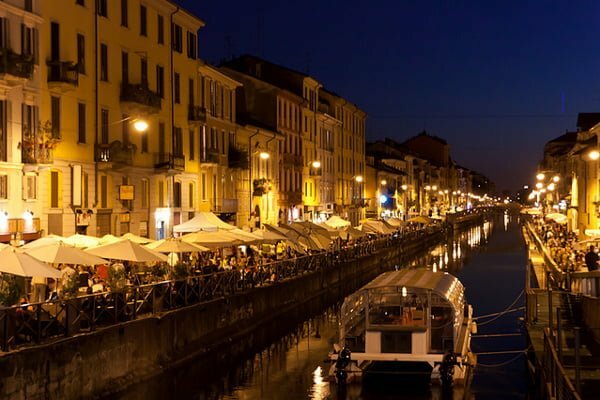 Of course, it won’t be the same like along Canal Grande but even Milan has its Naviglio Grande a navigable canal since 1272. It is 49 km long. It starts at Lonate Pozzolo known as Tornavento (near Malpensa airport) and ends in the dock Darsena di Porta Ticinese in Milan. During the summer period a small boat with 55 seats runs a 55 minutes tour starting from 10:30 AM with last departure at 22:15 PM (only Saturday am Sunday). The ticket costs 14€ for adults and 10€ for children (from 10 to 14 years old). For more info and booking online see Autostradale Viaggi.